A few examples of possible pages . . .
8th Grade book. 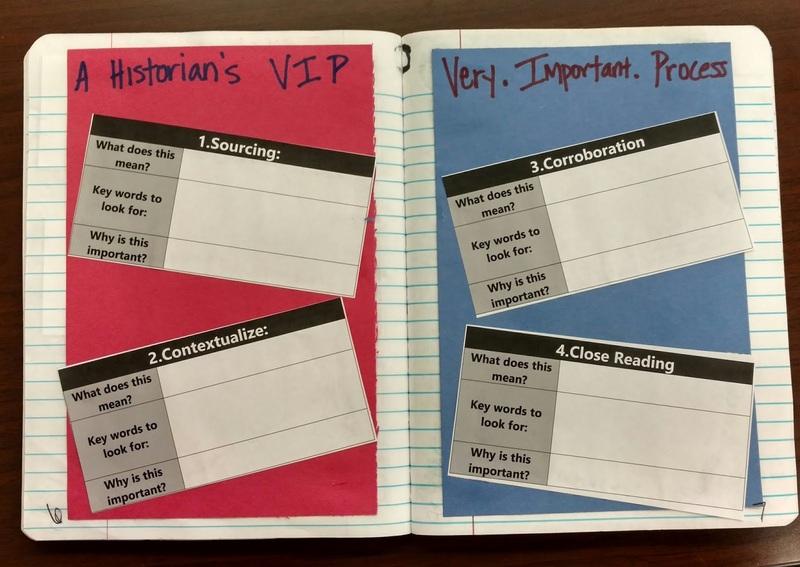 Review from last year on how to think like a historian. 8th Grade book. 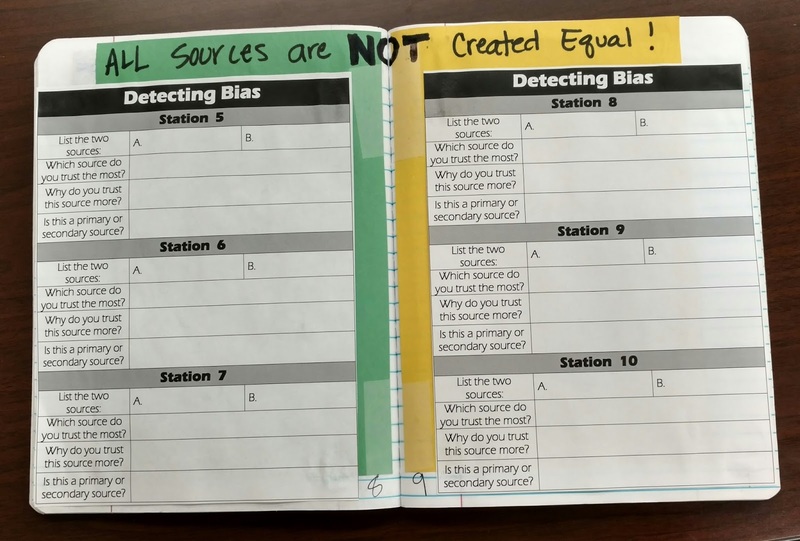 Choosing between two sources as to which is more accurate. 7th Grade Book. 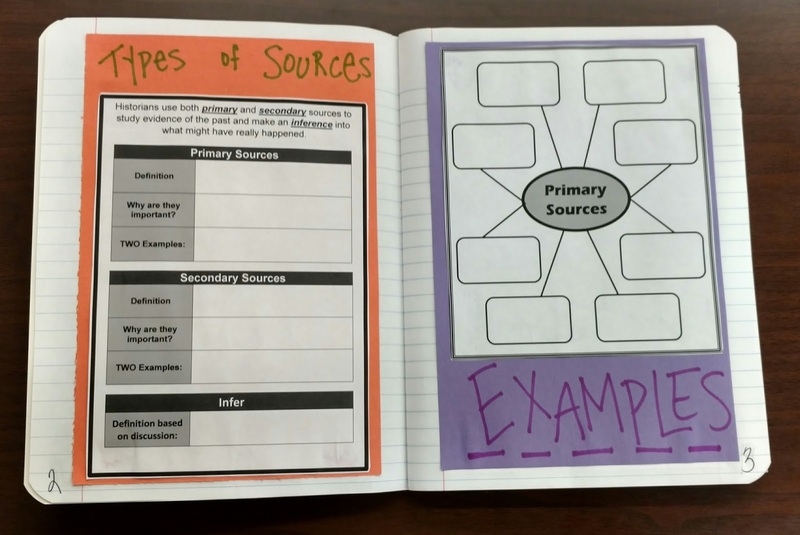 An introduction into primary and secondary sources. 7th Grade book. 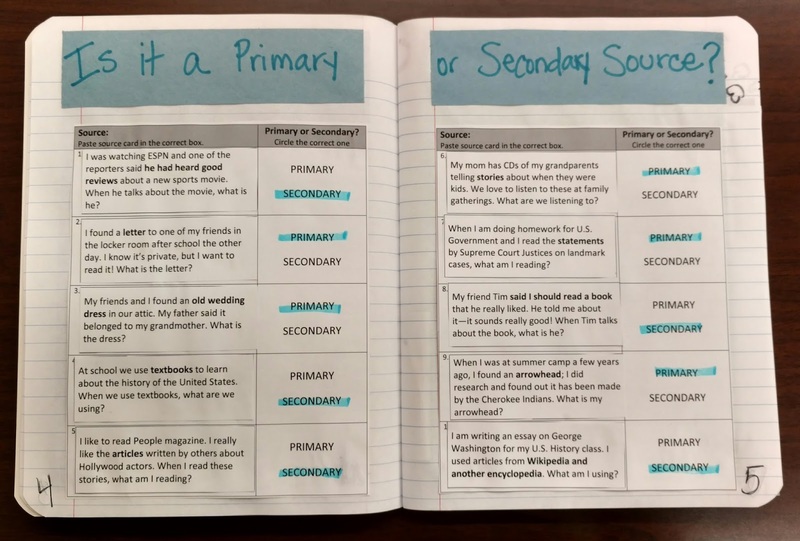 Application of primary or secondary sources. This was the difficult part but I will admit, it is the part I’m most looking forward to seeing how it turns out. The grading will be all self-assessed by the student themselves. The reason for this is really two-fold. It adds in some of the evaluation piece for the students. They MUST be familiar with the rubric and hopefully start to recognize what “quality” work looks like. To make the grading process for me more simple. The kids are still held responsible for the work, but I don’t have to collect and score 130 notebooks! I created a standard rubric that can be used for each section of the HIT book. (And each grade . . ) This gets pasted at the start of each separate section of the book. 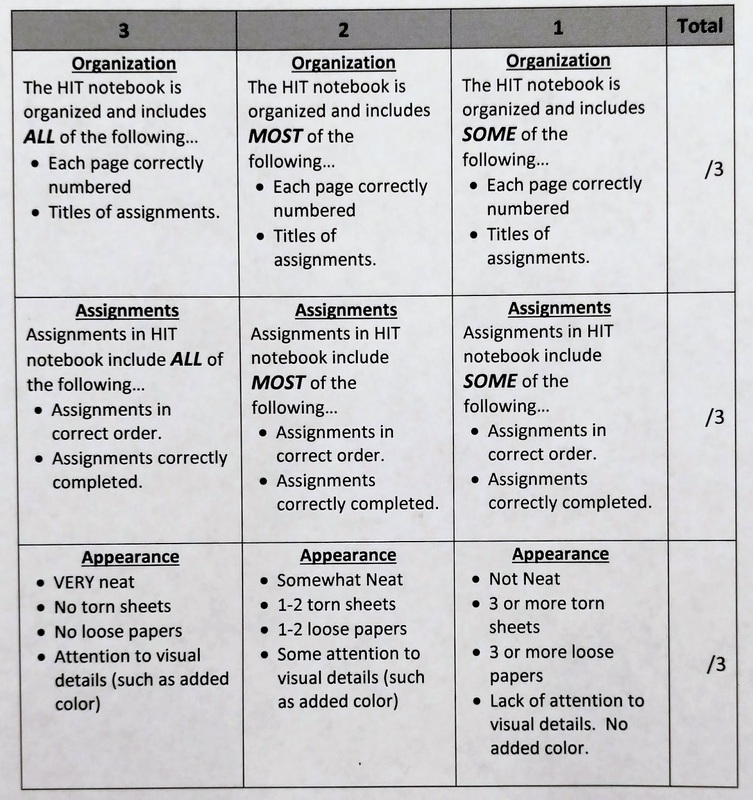 A very basic rubric that can be used for all grade levels and content units. When it comes time for their self-evaluations students may reference my book as an example of what “3” scores should include. Ready for the best part? Students then briefly meet with me to discuss their self-assessment and explain their reasoning. We’ll discuss what they did well in the book and what they could improve on in the next section. At the very end, to earn the last point, students must tie something in their book to our school’s core values – P.R.I.D.E. (PRIDE stands for Perseverance, Respect, Integrity, Dependability, and Empathy). 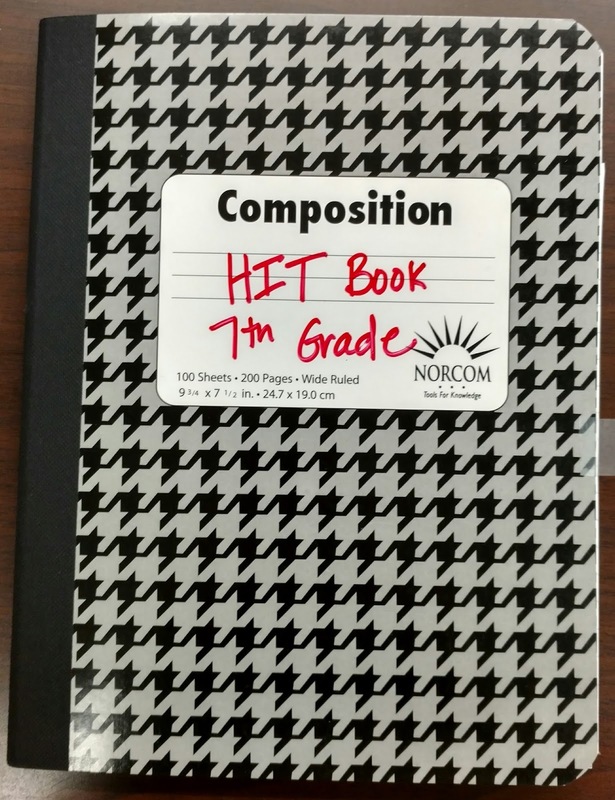 I believe this will be a way to give me the things I loved about using interactive notebooks as well as combat some of the issues I had with grading. I am excited to see how the student-self-assessments will look and the skills that my kids will gain throughout the year.